Medical Device industry has been widely regulated across the globe and offers unique challenges and growth opportunities. Recent detection of deadly epidemics such as H1N1, Ebola has drastically changed the market demand for advanced medical devices. World Health Organization (WHO) also has provided the guidelines for nations and regions to follow the practices for best manufacturing of medical devices so that it can ensure the deliverance of good quality, efficacy and safety in terms of medical facilities. The collaboration of innovative technologies with existing health technologies to provide better health treatment and facilities is the chief priority for health care industry. In 2015, Qualcomm has announced to invest in the development of internet connected inhaler for certain respiratory diseases. Biological based technologies such as Live Cell Analysis and Gene transfer technology has been developed in recent years. Such advancements in healthcare industry are anticipated to have a positive impact in the expansion of medical device business across the globe. The implementation of big data in health care industry is acquiring entire global medical device market and expecting promising opportunities in near future. The ongoing digital transformation of the market has streamlined the services and emphasizes the qualitative care. This data-driven medical service has significantly increased the investment in R&D sector. The collaboration of major verticals such as pharmaceuticals, data analytics & services has vast scope in development of healthcare industry eventually will boost the growth of medical device market. The global market for medical device is anticipated to reach USD 532.2 billion by 2024 from USD 380.0 billion in 2016 at a CAGR of 4.3% during the forecast period. North America acquires approximately 40% revenue share of the global medical device market in 2016 and is anticipated to dominate global medical device market due to large number of ageing residents with multiple chronic health issues. The major share of market is occupied by manufacturing industries of medical devices in the U.S. where surgical devices has captured largest share of the market accounted for about 30% of VOS (value of shipment). Also with improved clinical qualities, endoscopy has become the fastest growing segment in North America market which is accounted for 70% share of gastrointestinal endoscope market. In terms of medical technology, Europe is the most diverse nation focusing entirely on innovative products and services. 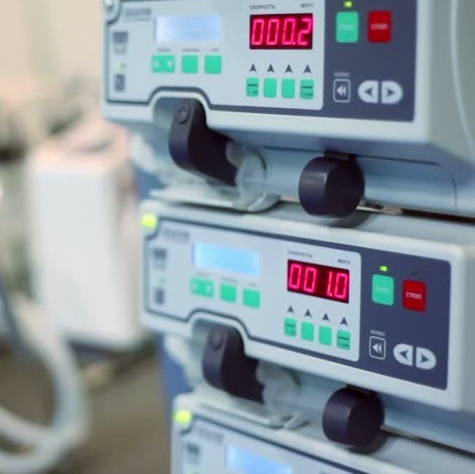 There are more than 500,000 medical technologies are registered in Europe. An average of 10.4% of gross domestic product (GDP) of the nation is spent on Europe healthcare industry which is likely to encourage the expansion of Europe medical device market. In Asia-Pacific region, China and Japan captures 6% and 9% share of global medical device market. Asia-Pacific market is rising in wearable device manufacturing. The Asia-Pacific wearable medical devices market is projected to reach USD 3.8 billion by 2024 with CAGR 22% from USD 0.80 in 2016 billion during the forecast period. Consumer awareness is the key factor to drive global market for medical device. Increasing market competitiveness and scope of strengthening the infrastructure facilities is likely to raise investment in medical industry. Popularity of wearable medical devices & portable devices to detect diabetes at early stage among consumers has increased the demand of medical technology sector. Insufficient supplies of medicines in the laboratories and lack of medically trained staffs is the main obstacle for healthcare industry. It is the major concern mainly in under-developed and developing nations in case of detection of any epidemic. Lack of awareness, appropriate resource availability, lack of proper diagnostics and poor quality of health services has affected the major part of the African region.